LUTHER, Okla. (AP) – Investigators say a student has been airlifted to a hospital after a stabbing at a central Oklahoma high school. 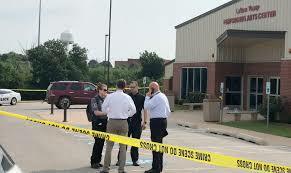 Oklahoma County sheriff’s spokesman Mark Opgrande says deputies were called to Luther High School in the small town of Luther following the reported stabbing Thursday morning. Opgrande says a student suspected in the attack is in custody. He says the injured student was airlifted to a hospital. The student’s medical condition hasn’t been released. Opgrande says the motive of the attack wasn’t immediately clear. He also says he doesn’t know the ages or genders of the students. Luther is a town of about 1,200 people about 25 miles northeast of Oklahoma City. Town Manager Sherrie Pidcock says the incident happened on the first day of school.